We have the most aggressive pricing in the Northeast, plus the product support you need now. Started by successful, veteran installers, Earth Anchoring Suppliers was created to be the helical pier distributor we always wanted, knew was possible but never found. This means we respond quickly: pricing, delivery, engineering, equipment, field support - all quick response. We keep an extensive inventory so contact us and find out why we're the leading authorized CHANCE distributor in the Northeast. 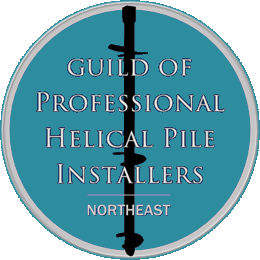 We have the best pricing and availability on CHANCE Helical Piles in the Northeast. Contact us now for a fast-turnaround price quote. Earn credits, schedule a "Lunch 'n Learn" PDH Engineering Seminar, run by CHANCE professionals. You'll see a variety of applications and case studies, learn best practices, have your questions answered by industry experts. And enjoy the once-thought-impossible Free Lunch. 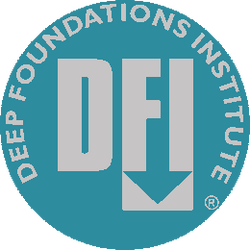 We insure our installers have access to the best training in the industry, as well as the best available helical piles and products. Inquire about Installer Certification & Training. WHAT DO CHANCE INSTALLERS THINK ABOUT EARTH ANCHORING SUPPLIERS? "When I have a huge bid, they'll get right in there, get real aggressive with their prices, do all they can to help me win. My success depends on this type of "partner." Thanks guys, you're a major part of why we've grown."